As very year, the London Excel building is hosting the annual EAG Expo in January. This year celebrates the 10th edition of the show. This year the number of pinball machines present is higher than ever. The games were spread over two stands: Electrocoin and Pinball Heaven. 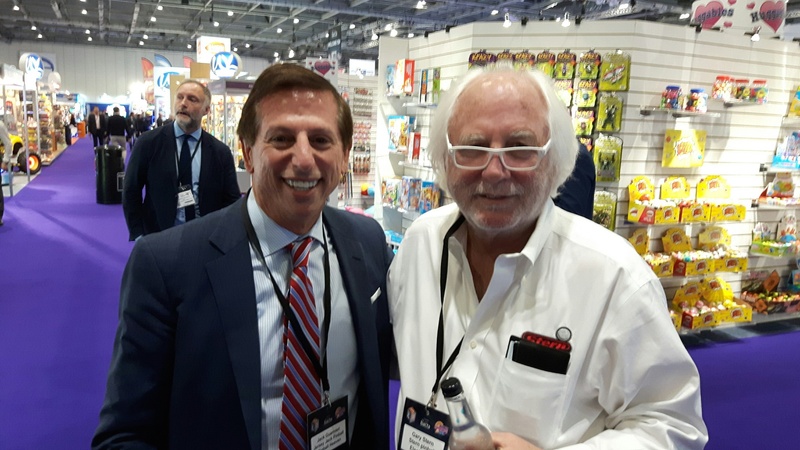 Electrocoin is the official importer of Stern Pinball machines. In their booth they had Deadpool Pro, two Beatles Gold, Munsters Pro and Munsters Premium. The two Beatles games were also equiped with an illuminated plastic topper. Stern management was present in person of Gary Stern, Doug Skor, John Buscaglia, Dave Peterson and his wife Sara. They had meetings with distributors scheduled throughout the show, which meant they were not present at the stand, but in meetings in the office area. In a vertical stand next to the games several flyers of various Stern games were also available for visitors to take home. 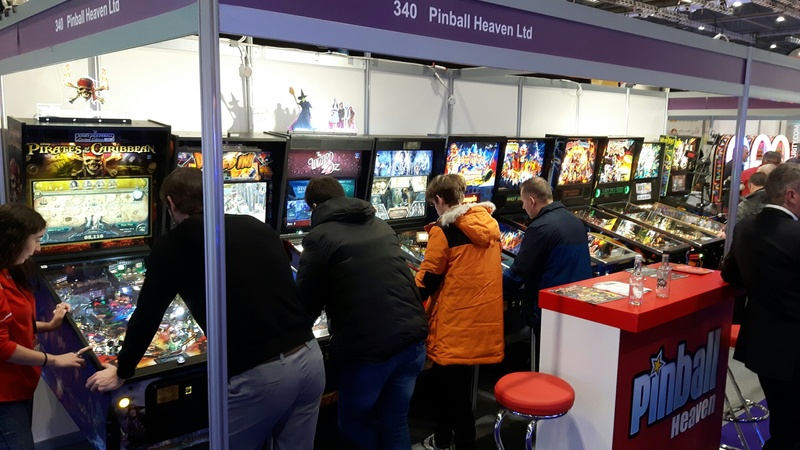 The Pinball Heaven stand turned out to be the biggest yet at this show. 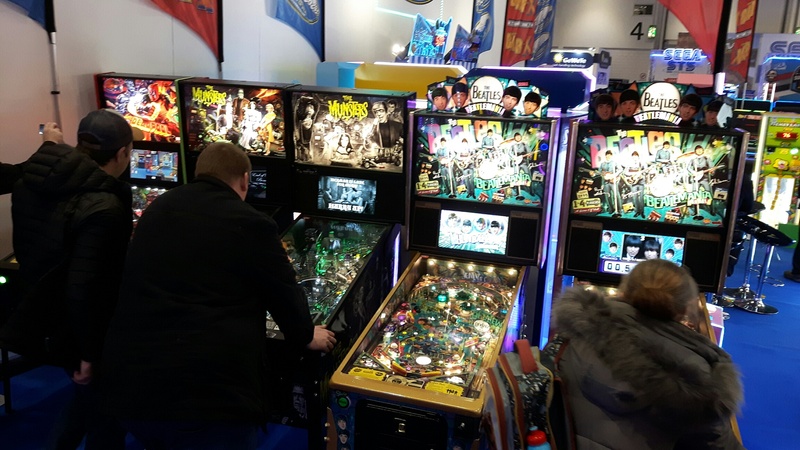 The company brought 10 games to the show: all four Jersey Jack Pinball games: Pirates of the Caribbean, Dialed In, The Hobbit and The Wizard of Oz, all three Chicago Gaming remakes: Monster Bash, Medieval Madness and Attack from Mars. The line up was competed with Thunderbirds by Homepin, a Beatles Gold and The Munsters Pro. On Tuesday Neil McRae was streaming The Munsters from the Pinball Heaven stand all day on his Twitch channel. 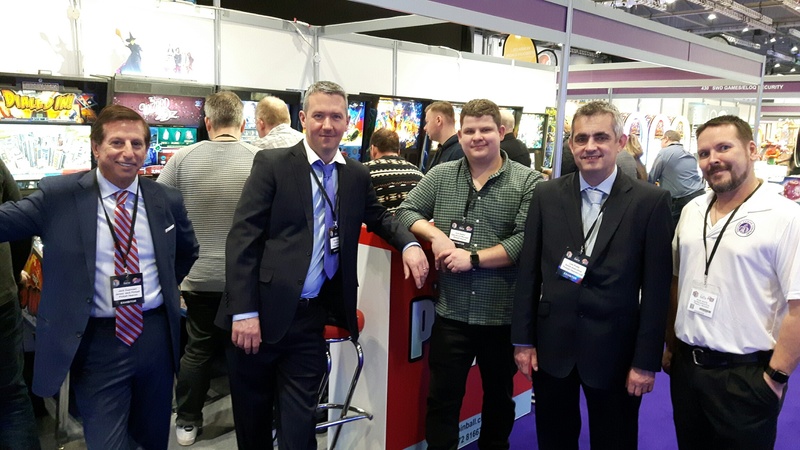 Team Pinball Heaven at EAG Expo 2019, with Jack Guarnieri on the left, Phil Palmer next to Jack and Ryan White all the way on the right. The Pinball Heaven stand was hosted by Phil Palmer and his team. This year they were completed with Jack Guarnieri from Jersey Jack Pinball and Ryan White from Chicago Gaming. Ryan was hired recently to take on the duties that Doug Skor managed until he left to join Stern Pinball in 2018. On the second day of the show an interview with Jack Guarnieri was recorded, which will be part of the upcoming Pinball Magazine and Pinball News audio podcast covering the pinball industry news of January 2019. Jack did reveal some interesting news, so make sure to check out our upcoming podcast. Last, but not least: Pinball Magazine was able to take a photo of two people that haven’t been seen in a photo together for years . . .